NMMA Certification is a program designed to help boat manufacturers comply with industry safety and construction standards and federal regulations. 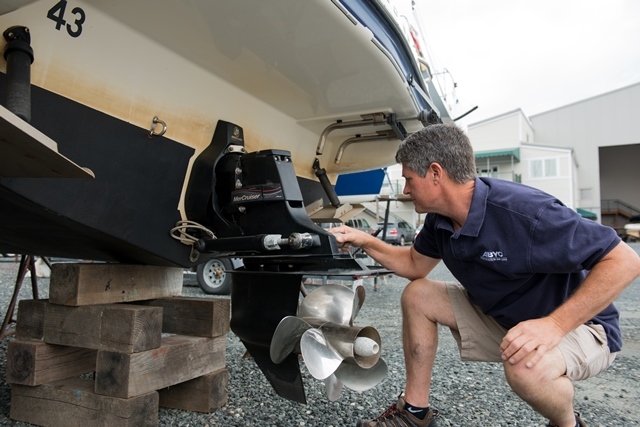 In order to be NMMA Certified, boat manufacturers must certify each boat model they produce. In addition to boat certiification, a dealer can also get a Marine Five Star Certification to ensure that buying and maintaining a boat are pleasant experiences. All boats sold in the U.S. must meet U.S. Coast Guard minimum regulations. NMMA Certified boats must also meet the more comprehensive standards set by the American Boat & Yacht Council (ABYC), covering more systems and components than USCG regulations. NMMA Certified boats undergo third-party inspection to ensure all applicable standards are met; the result is a thoroughly inspected, high-quality boat for you and your passengers. Manufacturers build a boat to ABYC and USCG standards under the guidance of the company's NMMA-trained Certification specialist. NMMA inspects the completed boat to make sure it meets the established standards. If any oversights are found, the manufacturer must bring the boat to compliance by completing and documenting the necessary changes. Unlike for cars, there are relatively few federal regulations regarding the construction of boats. There are requirements for fire extinguishers, life jackets, navigation lights and visual distress signals but these have little to do with how a boat is built and more to do with meeting minimal safety requirements. For the most part the government in the U.S. has left it up to private industry to create a body of guidance for building safe recreational boats. Founded in 1954, the American Boat & Yacht Council (ABYC) in a non-profit, member organization that develops voluntary safety standards for the design, construction, maintenance, and repair of recreational boats. ABYC to keep boating safe and enjoyable by making sure that a boat's construction is not at fault if something does not go according to our plan on the water. The standards and technical information reports cover all the major boat systems and the development and annual review of these standards correlates directly to the significant reduction in the number of boating accidents over the past six decades. In 2003, NMMA and ABYC made an agreement that strengthens each organization’s efforts to encourage broad use of ABYC Standards and the NMMA Boat & Yacht Certification Program. More than 180 boatbuilders now build to the standards and 90% of the boats sold in the U.S. today are certified. Visit www.abycinc.org to learn more about ABYC Standards.